DogBizPro has been helping dog trainers run their business since 2011. DogBizPro was developed specifically for dog trainers by dog trainers. Stephanie is a dog owner, lover, part-time trainer and web designer. When two fellow dog trainers decided they needed a software application to help manage their businesses, DogBizPro was born. Both trainers had previously tried other software programs out there with little to no success. The other applications just didn’t have the features they were looking for. DogBizPro was born out of a love for dogs and the desire to give dog trainers the tools they need to successfully manage their businesses, so they spend more time helping dogs and their owners succeed. The first version of software was released on June 25, 2011. To provide dog professionals with the tools they need to successfully manage their business. We hope our software will take away some of the paperwork and give you more time to dedicate to helping your clients and their dogs! Stephanie is the creator and software developer of DogBizPro. 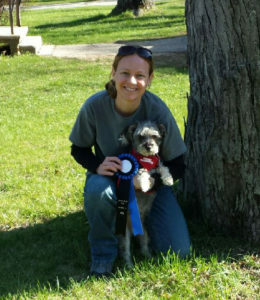 She is also a part-time Dog Trainer, Certified Nose Work Instructor (CNWI) and a member of the APDT. 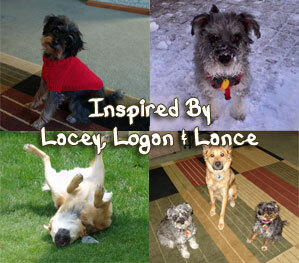 She realized she had a passion for training after attending multiple classes with all three of her dogs – Lacey, Logan & Lance. She first began teaching training classes in late 2010. Stephanie has a Bachelor’s Degree in Computer Science from Millikin University and a Master’s Degree in Computer Science from Northern Illinois University. She has been doing web programming and website design since 2005. Rory joined the DogBizPro team as a help desk support member in June 2015. He has had dogs his entire life and loves working with them. He is currently enrolled at Gateway Technical College pursuing his Associate’s degree in Software Development.